As I told you in several pots ago, I recently discovered that I have an oily skin. To add to that madness, I have several spots (and acne scars) that I need to get rid off. So I really was in the market for something that will make my spots disappear. I was cleaning through my stash and I found this product, then remembered that this facial lotion was a part of "taking my makeup off" at the end of the day. I took it off my routine because it wasn't working that well. 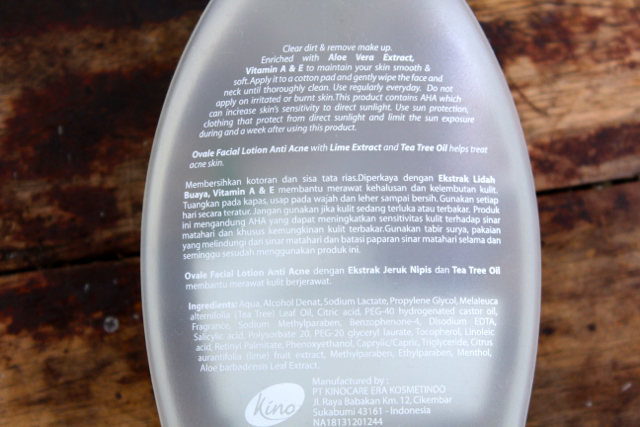 I shook a bit of my usual routine like 2 weeks ago and changed my facial foam to something more "acne" oriented. It helps a lot but just not enough.. I kept getting black-heads and my pores acting up. So I thought to my self that I need to do something about it. Changing up my routine was not a pleasant thing to get use to, but I told myself that I hated the madness on my face more than anything. I slipped this product after I use my makeup wipes to take off the makeup that still clings to my skin and, I kidd you not, it still catches those naughty makeup. After just a good 3 days, I found that my skin is a lot smoother, acne scars was slowly fading and my skin was not as bumpy from acnes and black-heads. I usually use 2 cotton pads and literally soak them until it kinda drips then run them all over to fully clean my face and neck area. But on a rough day, when my skin was a lot more oily, more so on a hot day, I use 3 cotton pads. 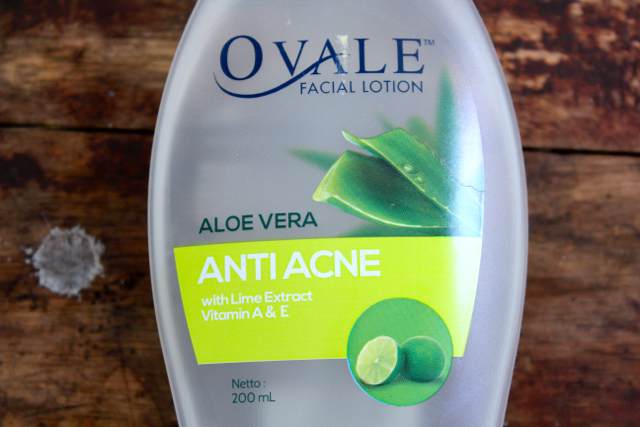 This facial lotion has Aloe Vera extract, vitamin A and E for your skin - also Lime extract and tea tree oil to treat your acne. I would say that this product is a great one for acne prone skin (worth to try if you're on the market for something to treat your acne). 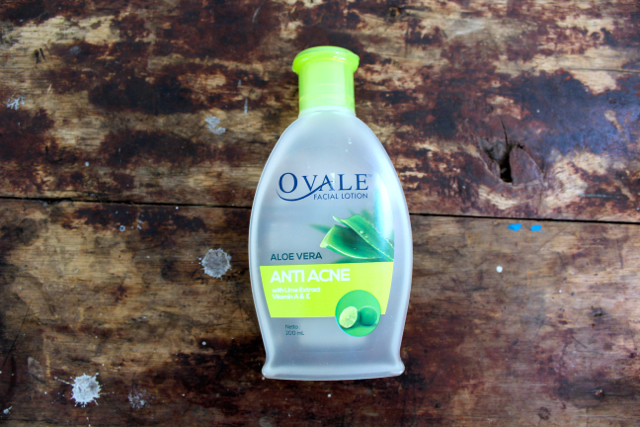 I have use it for a good while and I would say that if you use this, don't expect an instant result because getting rid of acne isn't an easy thing to do. It take a while (and a good sense of patience) for your skin to show the result. But hey, ... It's more to the routine than just result. With a good routine, you're teaching yourself to have a CLEANer (pun intended), more organized life!! good that the product suits you!